Seven drama 800 Words has been renewed for a second season. The drama, co-produced by Seven Network and New Zealand’s South Pacific Pictures, has been a consistent rater since it launched last month. It has frequently topped Tuesday nights, last week enjoying 1.05m overnight viewers, but is also averaging another 250,000 in Consolidated viewing. The series was co-created by James Griffin and Maxine Fleming. Seven’s Head of Drama, Julie McGauran, is Executive Producer. 2 words …. great show ……..
Its nice to see a nice drama on at 8:30 on ch7 again. Im loving this and its starting to gather story lines now especially the one with Shay and her boyfriend and her little crimes and seeing a father who lost his wife trying to raise 2 children and deal with teenage issues. Renewal was a no brainer. It Is the top rating drama, counts for local drama points, and the costs are shared with NZ. Each week it has a decent story worked around a theme and makes good use of the characters and settings. Glad it is doing well. I am happy it has been renewed…. It’s just an easy to watch, feel good show. It definitely fills the Rafters void for me. This is the type of drama that could succeed in a 7.30pm timeslot. Whilst I know networks need 8.30 content it would be a breath of fresh air to actually have a drama in the early evening slot rather than reality. I see Mr Lyons is doing that thing where we consider NZ to be part of Australia. I’m glad that it’s doing well but like some others I found it to be twee and hokey. Not my thing. They should get the producers to watch the second seasons of The Love Child and House Husbands to see where a good idea can do desperately wrong. Definitely agree with you about House Husbands. Ditto for seasons 3 and 4. Started out well and went downhill from there. Don’t agree about Love Child though – found the second Season really good – even better than the first season overall. 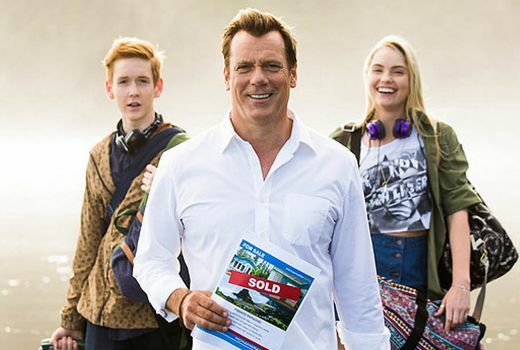 Glad to hear they have renewed 800 Words – have really enjoyed Season 1. Not quite Sea Change but getting there. Yes, a little hammy and overdone at times but refreshing and feel good overall. Good to see new Australian drama succeeding. I did give up on this show two weeks ago, it didn’t really do much for me or have enough drama to make me want to return each week. But there are plenty of people who do like it, so well done to the cast and crew. You wrote exactly what I was going to!! I feel the exact same way! Great news. I’ve been enjoying it. And good to see scripted drama doing well. Have had enough of reality television.